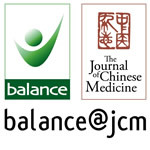 Welcome to the Balance Healthcare Ltd acupuncture and TCM online shop. Together we are seeking to make this website a place where you can access everything you need in one place, whether academic (our extensive book selection, book reviews, vast article archive, free articles, events diary etc.) or clinical (needles, moxa, electro-acupuncture, clinic supplies etc.) and our large range of specialist teas.